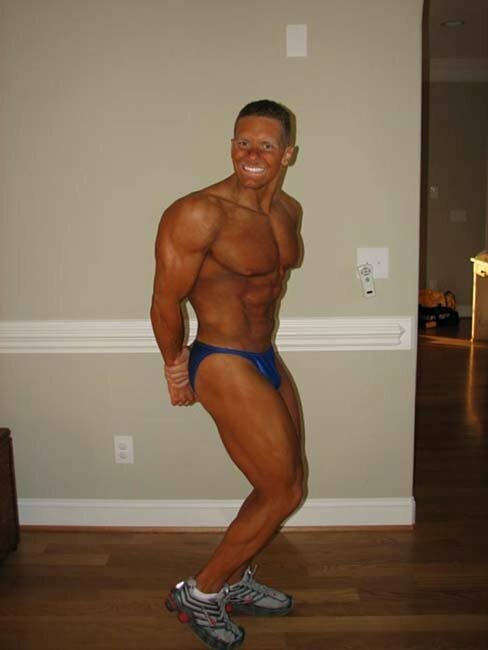 Three weeks out from the NPC show I did last year... I was NOT in good enough shape. I had only dieted on-point for maybe a week, had moved cross country from California to North Carolina, had a BOOMING business in Scivation, and also had a baby and a wife. I finally had three weeks to TRY to dial it in. Thank goodness I had my diet GURU, Scivation Director of Research and Development, Chuck Rudolph in my corner. The first thing that Chuck told me to do was to switch ALL of my protein intake to fish. I went to Wal Mart, bought what seemed like a ton of tilapia, and did just what the doctor ordered. I cooked it in a pot with some nonstick cooking spray and expected it to taste like plain crap. To my surprise, I loved it! For the next three weeks, I lived off of tilapia and other fish like salmon, mahi mahi, halibut and shrimp. I&apos;ll say it again, I LOVED IT! To my surprise, I got in respectable condition and won my class at the contest! I was in shock! Over the last few weeks, I have been experimenting. It seemed that I felt BETTER and processed my food better when I ate fish or eggs rather than chicken or beef. As someone dieting for a competition, this was very noticeable. I then came to a conclusion - I will never feel my best until I give up everything but fish and eggs as my protein source. I have done this, and the results are profound! There are many rationales for maintaining a pescetarian diet. Some pescetarians simply do not enjoy the taste or texture of eating meats from land animals. As with most dietary choices, the rationale behind it can differ greatly from person to person. Furthermore, eating certain kinds of fish raises HDL levels, 4 5 and some fish are a convenient source of omega-3 fatty acids, 6 and have numerous health benefits in one food variety. 7 Some health websites also state that pescetarianism lifestyle is a more healthy diet than vegetarian and vegan ones 8. Many people strongly suggest becoming a pescetarian for health benefits and for your own happiness. Many animals are cruelly killed and live miserable and painful lives because of the high demand for red meats. One person changing can make a huge difference. For some the rationale is ethics: believing that either the treatment, or simply the killing and eating, of mass market "meat" mammals is unethical. The rationalization for eating fish is usually that pescetarians feel significantly less moral attachment to non-land creatures. "fish cannot feel pain and therefore cannot be treated cruelly or exploited"
"fish are less intelligent than other animals"
"fish are not mistreated in the same way that factory farmed animals are"
"hooked/netted fish do not suffer as much as land animals that are shot in the wild"
Many of these ethical reasons are disputed. There is also the belief that the predator-prey relationship between man and animals is part of the "natural order of things" and that, therefore, hunting animals from their own habitat for food is acceptable (as opposed to farming them in an artificial one). Another ethical consideration of many pescetarians has to do with the inefficiency of red meat as a food source. Most cattle, pork and chickens 12 that supply the United States meat market are not free range. Instead, they are fed grains that are grown for the sole purpose of animal feed. The amount of calories in the grain needed to feed a cow, pig, or chicken (to a lesser extent) greatly exceeds the nutritional value of the meat these animals provide. Were this grain to be used for human consumption instead, far more food could be provided. Considerations of overpopulation and the restricted amount of arable land usually play a role in this pescetarian rationale. This view is complicated by the fact that farming carnivorous fish species requires large inputs of wild fish for feed. A 2006 report by the Food and Agriculture Organization of the United Nations estimates that livestock are responsible for roughly 18 percent of the global warming effect 13, outstripping even the contribution of transportation. The main greenhouse gases produced by livestock are methane - the natural result of bovine digestion - and the nitrogen emitted by manure. Furthermore, the deforestation needed for grazing lands also contributes to global warming, by eliminating the CO2 sinks that forests provide. Thus some pescetarians choose their diet in an attempt to reduce "livestock&apos;s long shadow." 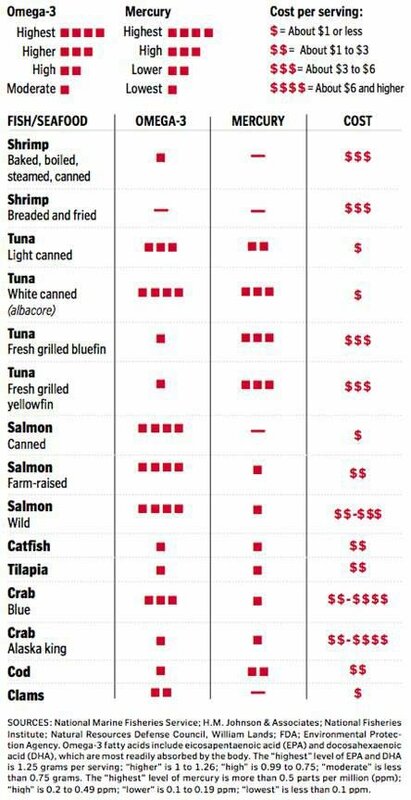 14 Many pescetarians therefore eat predominantly wild caught fish, using guides such as the Monterey Bay Aquarium&apos;s Seafood WATCH to determine which fisheries are sustainable and which ones are overused. Although some people who participate in this diet consider it an entirely separate diet to vegetarianism and veganism comparisons are commonly struck up between them. Both Pesco-vegetarian and vegetarian diets can be each environmentally unfriendly if precautions are not taken, due to the problems of overfishing, by-catch and in both diets, habitat destruction (through arable farming in vegetarianism). For this reason, some pescetarians focus on eating species that are most sustainably fished and avoid many farmed fish (e.g. salmon) also. The root of pesco- is ultimately from piscis the Latin for fish. However, the vowel e suggests that it has been taken via other Romance languages such as Spanish (pescado) or Italian (pesce). The reason for this seems obvious to English speakers - if they were called piscatarians people might get the wrong idea! As of August 2004, "pescatarian", "pescotarian", and "piscatarian" could be found on the Internet, but "pescetarian" was perhaps the most popular (while Italian pesce is pronounce with a soft "ch", the English term is usually pronounced with a hard "c".). As of May 2007, the term "pectarian" could also be found on the Internet. "Pescavore" is also quite common, formed by analogy with "carnivore" (though the more regular word piscivore already existed). Less commonly used terms found include "aquatarian," which has recently gained popularity in Washington, DC, and "fishetarian", which was used in print as early as 1992, and "vegequarian". Frank B. Hu, MD; Leslie Bronner, MD; Walter C. Willett, MD; Meir J. Stampfer, MD; Kathryn M. Rexrode, MD; Christine M. Albert, MD; David Hunter, MD; JoAnn E. Manson, MD, "Fish and Omega-3 Fatty Acid Intake and Risk of Coronary Heart Disease in Women"., JAMA. 2002;287:1815-1821. 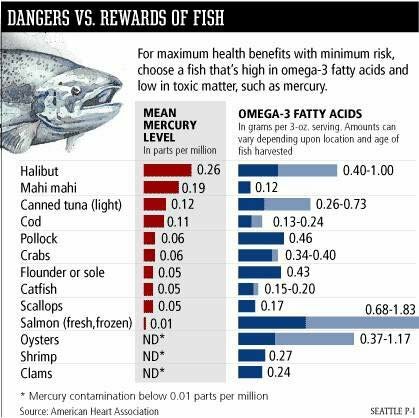 Mercury: Are Fish safe to eat? by Gloria Tsang R.D. Randomized trial of weight-loss-diets for young adults varying in fish and fish oil content. Thorsdottir I, Tomasson H, Gunnarsdottir I, Gisladottir E, Kiely M, Parra MD, Bandarra NM, Schaafsma G, Martinez JA. 1Unit for Nutrition Research, Department of Food Science and Human Nutrition, Landspitali University Hospital, University of Iceland, Reykjavik, Iceland. To investigate the effect of including seafood and fish oils, as part of an energy-restricted diet, on weight loss in young overweight adults. Randomized controlled trial of energy-restricted diet varying in fish and fish oil content was followed for 8 weeks. The macronutrient composition of the diets was similar between the groups and the capsule groups, were single-blinded. A total of 324 men and women aged 20-40 years, BMI 27.5-32.5 kg/m(2) from Iceland, Spain and Ireland. An average man in the study (95 kg at baseline receiving 1600 kcal/day) was estimated to lose 3.55 kg (95% CI, 3.14-3.97) (1); 4.35 kg (95% CI, 3.94-4.75) (2); 4.50 kg (95% CI, 4.13-4.87) (3) and 4.96 kg (95% CI, 4.53-5.40) on diet (4) in 4 weeks, from baseline to midpoint. The weight-loss from midpoint to endpoint was 0.45 (0.41-0.49) times the observed weight loss from baseline to midpoint. The diets did not differ in their effect on weight loss in women. Changes in measures of body composition were in line with changes in body weight. In young, overweight men, the inclusion of either lean or fatty fish, or fish oil as part of an energy-restricted diet resulted in approximately 1 kg more weight loss after 4 weeks, than did a similar diet without seafood or supplement of marine origin. The addition of seafood to a nutritionally balanced energy-restricted diet may boost weight loss. International Journal of Obesity advance online publication, 15 May 2007; doi:10.1038/sj.ijo.0803643. WOAH MOMMA! Did I just read this correctly? Fish and fish oil supplements cause you to lose more weight than a similar diet without the fish or fish oil. Do you ever see anyone taking "Chicken Oil" or "Beef Oil" pills? HECK NO! Why, because it isn&apos;t healthy. 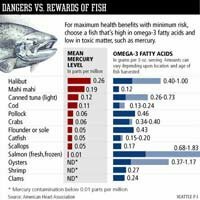 So if supplementing with fish oil for the benefits, why not just eat the darn fish and reap the benefits? Mercury Poison In A Healthy Meal? Ingesting fish several times per week may cause a health hazard, according to an article in the August 2003 Reader&apos;s Digest. The bottom line is that I DO NOT hate chicken and steak. I like them! But my body operates better on fish and eggs only and this is now my lifestyle. If this got your attention, give the Pescetarian lifestyle a shot. Your health and energy might thank you for it!